Westerners familiar only with stereotypical images of bowing geisha and dark-suited businessmen will be surprised by the cast of characters translator Lane Dunlop introduces in this anthology. Lovers of fiction and students of Japan are certain to find these stories absorbing, engaging and instructive. 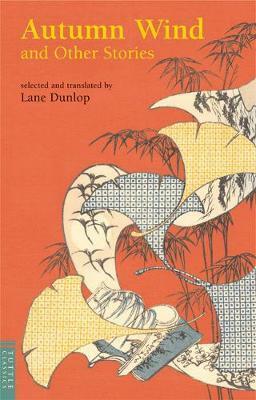 Lane Dunlop has won several awards for translation, including the Japan-US Friendship Award for Literary Translation for both 'A Late Chrysanthemum' and 'Twenty-four Stories' from the Japanese, and the American Academy of Arts and Letters Academy Award in Literature. He is co-translator of Yasunari's Kawabata 'Palm-of-the-Hand Stories' and the translator of numerous Japanese novels, including Kafu Nagai's 'During the Rains & Flowers in the Shade: Two Novellas'.